I've been living in my first ever home with my boyfriend for six months now, and it has flown by. We've lived together for the past four years, but the majority of that time was spent in student housing; we'd never lived on our own, just the two of us, before. 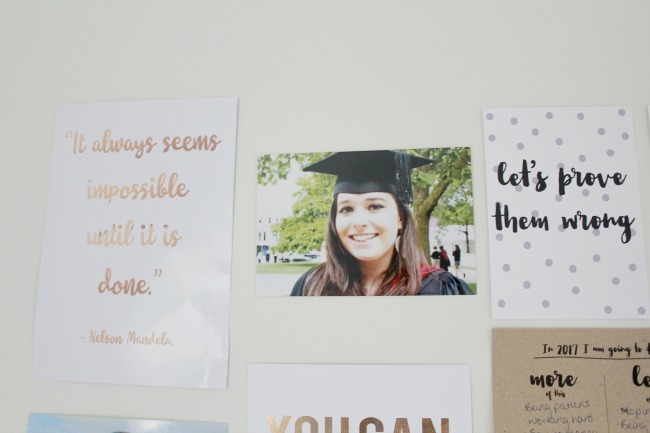 We've added a few little touches to make it feel more homely, but quite frankly, we don't have the money to spend on decor: we don't even have all the furniture we need still! I am so so happy to finally have my own little office space. It's got everything I need in it, even our two new little hamsters, Frank and Sid. But it's so bare. 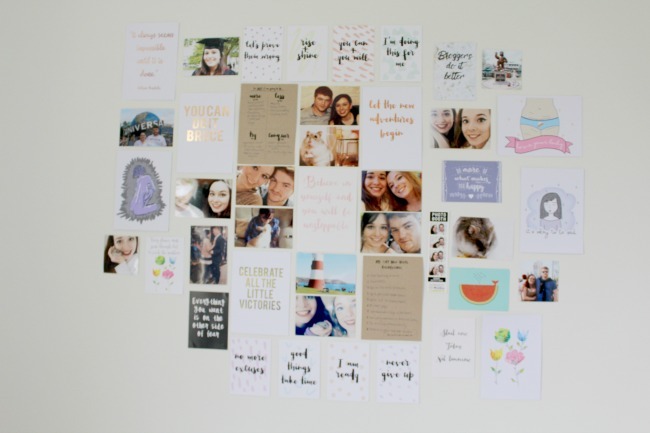 My walls are completely plain, there's not a great deal of furniture in here and there's simply not enough storage to keep the place looking tidy. So, I stole a lil idea from my sister, and begun the creation of a collage wall. I basically had a load of prints from That Lame Company sitting in my desk drawer waiting to be used for something, and I'd printed off a few pictures from Snapfish (this isn't even a #spon, I totally paid for them all myself) for Christmas presents for people and had got a few left over for myself. 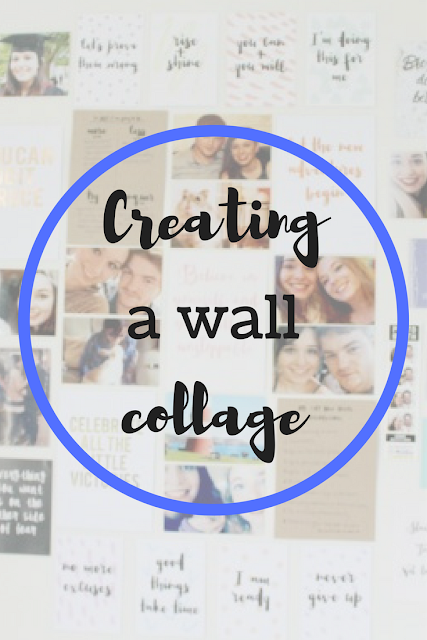 It's taken me a little while to build my collage wall up this far, but I love it SO much. It's got some of my favourite pictures on there, and quotes that I look up to to motivate me. I recently went on a little spree on Dorkface's (aka Jemma's) Etsy shop and picked up some of my favourite pieces of her artwork. The life drawing print is my favourite of all of them. It seems so raw and I SO hope that Jemma does some more life drawing for her Etsy shop in the future! I also picked up the 'love your body' print and the 'it's okay to be sad' one. I've been feeling so down in terms of my mood and my body confidence this morning that I really need these little reminders at the moment. 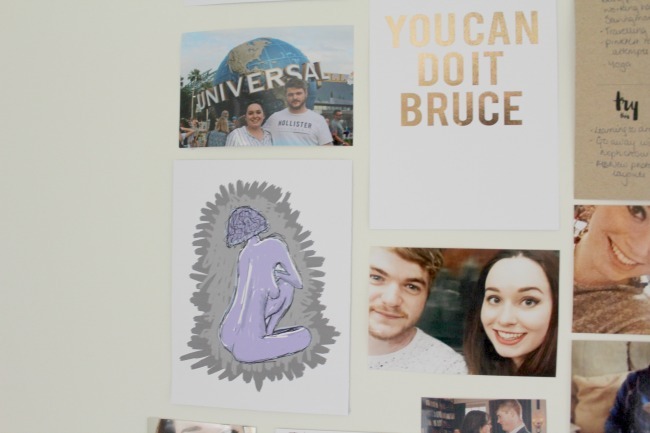 I'm all about supporting little businesses as and when I can, and making my wall collage has been a much cheaper alternative to buying a big piece of artwork, and it's so much more personal to me. 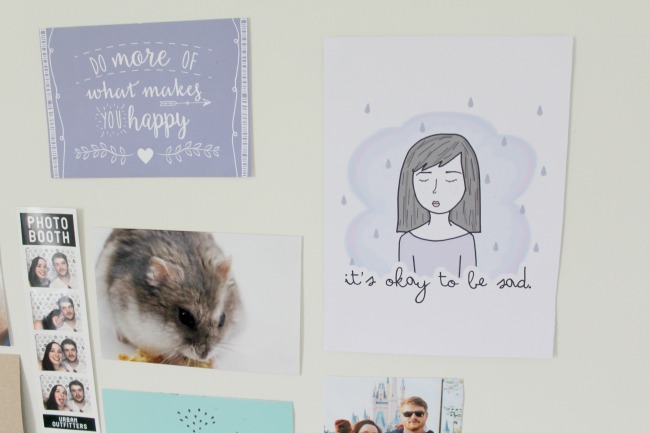 Whenever I'm feeling low on inspo, or think my life is a bit rubbish I have a whole tonne of happy memories to look at, courtesy of my photos, and a whole bunch of motivational art and quotes to keep me smiling. 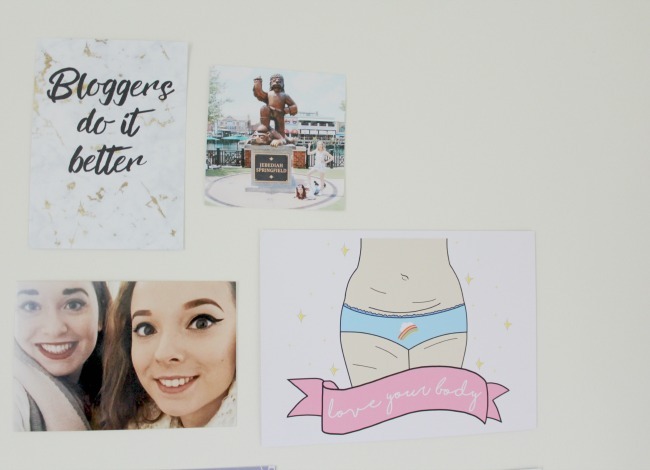 If you're wondering where any of the other prints come from, everything on my wall is either from Dorkface or That Lame Company, so you'll be able to find the print you like on either site.